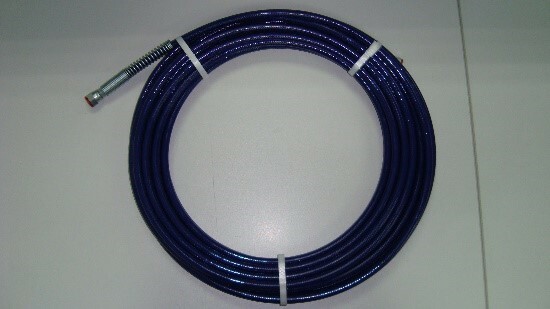 The 3300 psi hoses are suitable for paint spray application with increased resistance to abrasion. For use with solvents and aggressive fluids, they are thus suitable for paint spray systems and equipment. The 7540 psi hoses are suitable for applications requiring chemical resistance to solvents and aggressive fluids. Due to low permeation value of polyamide, these hoses are also used for industrial gases, and are thus suitable for airless paint spray systems and equipment.